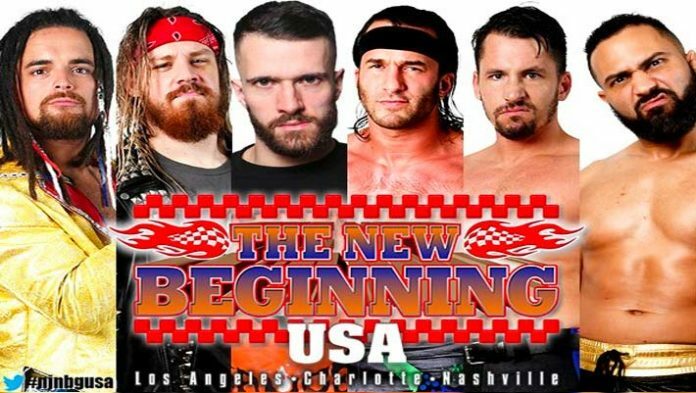 New Japan recently held their latest United States shows. However due to visa issues the company were not able to bring over a litany of Japanese talent, making the roster for the tour extremely different to the ‘genuine’ NJPW product. The Wrestling Observer recently released the official attendance figures for the tour. The New Beginnings USA tour drew a total of 2,118 fans over 3 shows, with an average of 706 paying fans per show. Ticket sales in the final week may well have been hurt by the lack of Japanese talent. The cards featured many Ring of Honor, independent stars and NJPW Dojo talents. With Charlotte being the only sell out of the tour it will be interesting to see how New Japan approaches US trips going forward. NJPW and ROH will of course be collaborating for the WrestleMania weekend show in Madison Square Garden, which sold out extremely quickly.